Are you new to Blogging field and make much Grammar & Spelling mistakes? If Yes, then you are at right place, cause in this Article, I’m going to tell you about 5 Best Online Grammar Checker Tools For Bloggers. If you are weak in English, no worries as there are many tools available in the market which will help you in this matter. Among those tools here I’ve listed 5 Best Online Grammar, Spelling & Punctuation Checker Tools which you should use to avoid mistakes. For the people who are really poor in English and make Spelling & Punctuation mistakes, then they should definitely check out these tools. Also, these tools are used by many professional bloggers. These tools are really helpful for Bloggers, Students & Freelancers. Apart from Grammar & Spelling Checker, you can also Check Plagiarism Content. 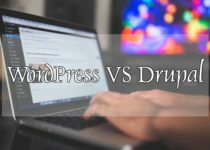 If you ever wanted to Create a Blog, but due to your weak writing skills you didn’t start a blog then these tools will surely help you to ignore mistakes in writing. 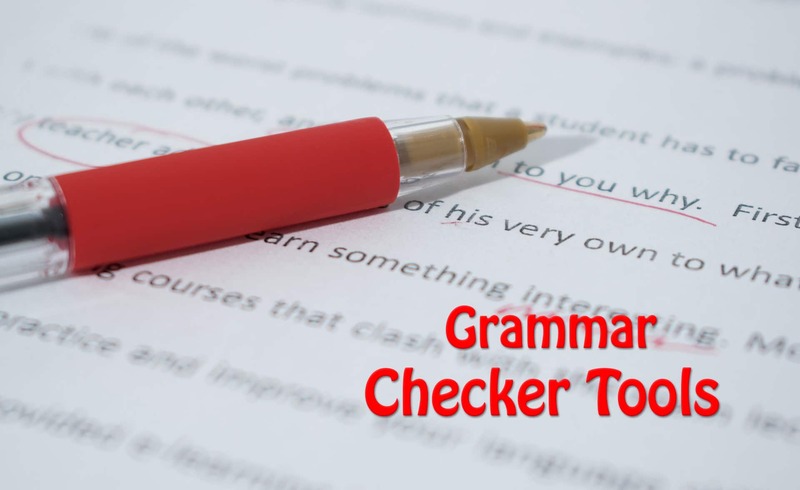 There are many Best Online Grammar Checker Tools available but here I’ve shared 5 Best tools to check Grammar, Spelling & Punctuation. So, without wasting more time, let’s proceed further and check out 5 Best Online Grammar & Spelling Checker Tools For Bloggers. Grammarly is one of the Best Free Grammar Checker Tool. I have been using it from past 1 year and it’s really helpful too. You can try Grammarly for Free and improve your Grammar, Spellings & Punctuations. Apart from Free version, it also has a Paid version which is worth single penny. It also has Chrome Extension which you can use to improve your writing skills. You can Install the Extension by clicking below. After the Deadline is another popular Grammar Checker tool using which you can make the correction for any text you have. You just have to paste any paragraph in the text area and click on Check Writing. It will automatically check the paragraph and give you suggestion. This tool will show you Spelling Errors, Grammar suggestion, and even style suggestion. So, it’s a great tool if you want to find an error from a particular paragraph. GingerSoftware is another great tool using which you can get correct your grammar, spelling and punctuation mistakes. Similar to After the Deadline, here also you need to Enter the text in the text area. Once you have entered the text, it will automatically correct your paragraph with proper grammar, spelling and punctuation mark. It is not only Grammar Checker tool but it is much more than that. It has many features which includes Word Prediction, Sentence Rephraser, Text Reader, Translator and much more. Paper Rater is another Online Spelling & Plagiarism Checker which you can use to check your written sentence for Free. It is a Free Online tool where you don’t need to download anything. This is three in one tool which includes Grammar Check, Writing Suggestions & Plagiarism Checking. It has many features which includes Grammar Checker, Spelling Checker, Vocabulary Builder, etc. Apart from this, it also has a premium feature which you can purchase if you want an extra feature to be unlocked. Online Correction is another simple and Free Online tool to Check Grammar & Spelling which will help you to get your content error free. You just need to Enter your text in the text box provided and it will show you the Grammar suggestions in Green Colour & Spelling Mistakes in Red Color. This tool is very simple and you can also select Dialect from the drop-down menu. You can check the Autocorrect box to automatically correct your entered text. These were the 5 Best Online Grammar Checker Tools For Bloggers. Not only for Bloggers, if you are a writer or Freelancer then these tools will really help you out. Hope you liked this Article on Best Online Grammar Checker. Comment below if you have any query. Stay tuned with us for more latest Tricks & Updates. Hi Dhiraj Thanks for sharing the excellent content on on line grammar checking tools.Since there are many tools available but it is difficult to decide which one is right, your article will surely help readers to select the right tool. I am using Grammarly. It is very nice software. It detects spelling mistakes, wrong punctuation and etc. I am using Grammarly. It is really a best tool for grammar checking and errors.